If you’re looking for a Strange’s event that has already taken place, you’ve come to the right spot. Our past events are listed below. 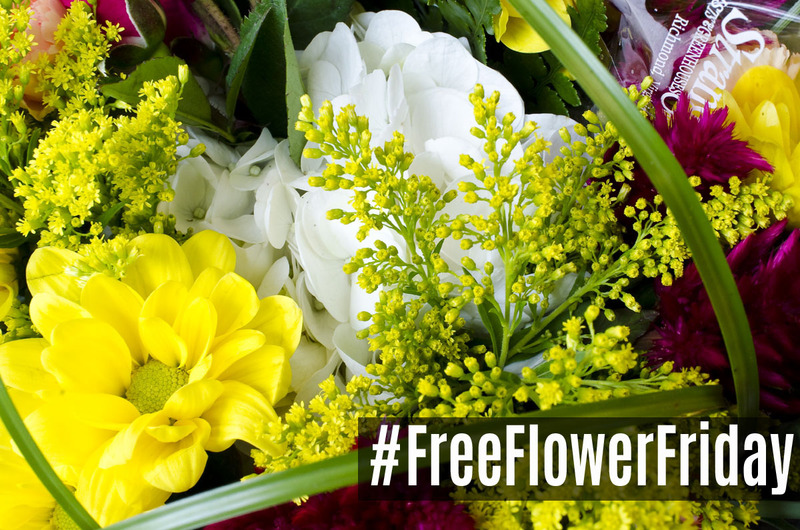 Hey RVA, it’s time again for Strange’s #FreeFlowerFriday! We pick and post a random name (sometimes only one, sometimes two!) on a selected Friday Morning around 9 am. If it’s not your name, share with your friends if it’s theirs! Spring is in full swing and it’s time to get gardening! 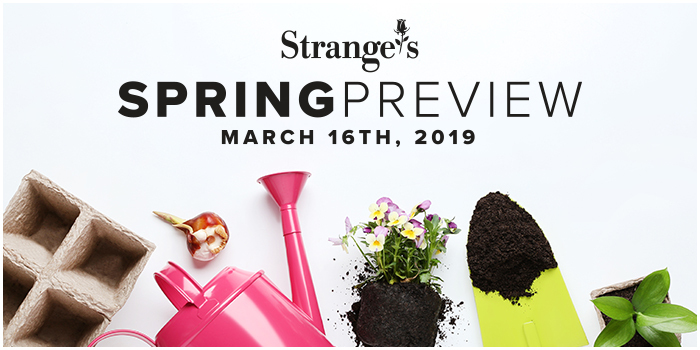 Join Strange’s on West Broad the weekend of April 6th & 7th as we kick off the spring season with a weekend of free classes, demonstrations, and sales sure to set you up for success! Bring us a bag of soil and we’ll test your soil’s pH for free all weekend long. Kick off day 1 of Bloomin’ Days with a walk-through greenhouse tour guided by our knowledgeable staff! We’ll show you some of our new and exciting plant varieties for 2019 while also covering plants that best thrive in the RVA area. Coffee and donuts will also be provided. Not all great vegetables grow on farms! We’ll share all the tricks of the trade for growing great vegetables in your own back yard, from tomatoes to eggplants and more. You’ll also learn everything you need to know to feed and support your veggies through the summer months! Modern-day gardeners are rediscovering boxwood, the backbone of many landscapes. They are evergreen, drought-tolerant, deer-resistant, and have been part of the family tradition at Saunders Brothers for over 60 years. Join Beth Anne from the Saunders Brothers team for an expert discussion on boxwood care. Let Anthony Koch from Wyatt Quarles will take you from lawn newbie to turf expert! He’ll cover everything from weed control to fertilization to make sure you have all the information you need to grow your own lush, green lawn! Are you tired of the same old trees and shrubs you see in everyone’s yard? Join Craig Bradley from Monrovia as he shares some new and exciting nursery plants sure to set your landscaping apart from the rest! Are you tired of planting something only to see it disappear almost overnight? Have you ever stepped into your yard only to sink down in a soft spot? If you are tired of seeing tunnels in your lawn, Anthony Koch from Wyatt Quarles has solutions for you! A growing trend for urban and suburban dwellers is raising chickens. Come and join Beth from Pink House Farm as she provides tips and tricks for keeping our feathered friends happy and bountiful. You’ll have fresh eggs on the table in no time! If you want to have a great-looking yard and eat it too, consider the world of edible landscaping! Jay Burlison, owner of J.M.B. Greengardens, will walk you through incorporating edibles into your lawn and garden. He will cover areas such as selecting the best plants for your space, overall aesthetics, and how to choose plants for your growing conditions. 4:00 PM – Bee an Organic Gardener – Our Next Meal Could Bee Up to You! Join Bonnie from Espoma as she explains how going organic can help save our pollinators! Kick off day 2 of Bloomin’ Days with a walk-through nursery your guided by our knowledgeable staff! We’ll show you some of our new and exciting plant varieties for 2019 while also covering plants that best thrive in the RVA area. Coffee and donuts will also be provided. Who doesn’t like fresh fruit? Join experts from Virginia Berry Farm as they discuss what grows best in Richmond and how to take care of it. Deer can eat their way through your yard in a couple of nights if you let them. Craig Bradley from Monrovia will discuss what plants they hate, what plants they love, and how to prevent damage by using the right deer repellent. Whether you are an experienced beekeeper, a new beekeeper, or thinking about starting a back yard beehive, the Richmond Beekeepers Association is here to answer your questions and cover the basics on raising some of our favorite pollinators. Roses are the queens of the garden. But like any royalty, they can be a bit touchy! Join the Richmond Rose Society, as they teach you how to treat them properly so you can grow your very own award-winning roses at home! Join Bonnie from Espoma as she explains tips and trick for growing organic herbs! Interested in harvesting your own mushrooms but have no idea where to begin? Join Mark Jones, owner of Central VA-based Sharondale Farm, as he demystifies the world of mushrooms and shows you how to get growing in your own back yard! Landscaping can seem an overwhelming process whether you’re a new homeowner or someone that wants to refresh the look outside their home. Join Strange’s landscaping expert Kevin Cutlip as he breaks the landscaping process down step-by-step in this free, three part series of classes. Now it’s time to make your yard truly yours. Find those cool specimen plants that will make your yard different and unique and reflect YOUR personal taste, not just the Jones’ . Pick a Japanese Maple, a weeping spruce or cedar, Mahonia, Exbury Azalea, Edworthia, Illicium, Flowering Cherry, etc. Plant on the edge of the yard or near a patio or deck so you can chat about it with visiting company/conversation topic. Cool perennials to accent foundation and walkway. Make a container, make two. Add inexpensive annuals for seasonal blasts of color. Fill in that shady or wet spot. This is the last step. You’ve got everything the way you want it and now it’s just about upkeep and a final touch. Kids? Plant a tree or unique shrub together and watch it grow and change as they do. Second home/middle aged couple? Plant a shade tree to enjoy after retirement. This week’s names are MADELINE or GERALD. This week’s name is EMMA. Pull on your gloves, sharpen your pruners, and ready your shovel because spring is right around the corner! Join us March 16th as we whip your spring gardening into shape with free classes, sales, and more. We’re not leaving the little ones out of the fun! Bring the kids and we’ll help them plant their very own take-home strawberry plant for FREE! Are you tired of growing lettuce and want to try something different? We’ll share all the tricks of the trade for growing great early spring vegetables and microgreens this season. You’ll also learn everything you need to know to feed and support your veggies through the spring and beyond! Now that you’ve gotten rid of the old, it’s time to put in the new. Figure out your spacing. How much usable area along the front of your do you have? Put your “bones” in. What foundation plants will work for you? Decide what kind of “look” you want. Classic, fancy, color, conifer, broadleaf, deciduous? Sick of Your Neighbors Yet? Now that you’re settled in it’s time to block out your neighbor’s kids swing set. Screening plants are a great way to add some solitude to your side of the fence while improving your landscaping. Veteran gardener Tom Rush will show you how easy it is to be a turf expert from weed control to fertilization. You’ll be growing your own lush, green lawn in no time! Who doesn’t like fresh fruit? Learn what grows best in Richmond and how to take care of it. We’ll also talk about growing fruits & berries in containers if you’re short on garden space. Strange’s very own container guru Susan Frakes will show you her secrets to creating containers bursting with color! Using trees, shrubs, annuals and perennials she will teach you how to create containers for every space in your yard. We’ll talk about the myriad of new plant introductions for 2019 and show you some of our new favorite products and tools in the greenhouse. Are you looking for a little more privacy in your yard? Screening plants are a great way to add some solitude to your side of the fence and to improve relationships with your neighbors. We’ll show you what your screening options are based on sun, size, season, and more! Join us for a comprehensive guide on how to jump start vibrance and color in your garden while it’s still chilly outside! We’ll share some of our favorite early spring plants and detail best care practices to make sure they stay happy and healthy. This week’s names are LeAnne and Ethan. 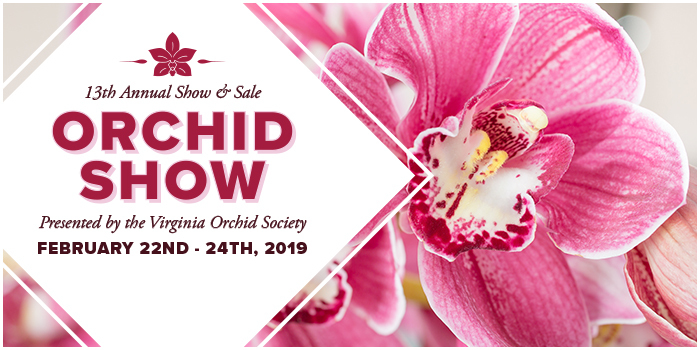 Join us for The Virginia Orchid Society’s 13th Annual Orchid Show this February 22-24, 2019! Due to unpredictable road conditions throughout the metro Richmond area, Strange’s will have a two hour delayed opening on Wednesday 20FEB2019. We will open at 10:00 am. Please be safe tonight and early tomorrow morning if you must go out! Workshop is $25 per person & includes all materials (container, soil, charcoal, rocks, moss, & terrarium plants). To reserve your spot please call (804)360-2800 or visit our West Broad reception desk. Class caps at 10 people. Payment due at time of class. This one’s for the dogs! Join us with Kat Simons from Mix 98.1 in celebrating our fabulous community local dog organizations. Bring your furry friend on a leash to enjoy contests, raffles, demonstrations, and more! All proceeds for this event will go to the Richmond Animal League! While all raffle proceeds will go to RAL, items collected at the donation station will be split among our participating nonprofits & rescue groups at the end of the day. Best Tail Wagger – If your pup knows how to shake it, shake it, show us their stuff! Best Costume – Costumes are not just for Halloween. Let your canine show us their best look! Best Trick – Does your dog have a trick or two up their paw? Here’s a chance to show them off! Best Kisser – Put on the lip balm and pucker up! Best Dancer – Show us your pup’s best dance moves! 10:30 AM – CONTEST #1: Best Tail Wagger! – If your pup knows how to shake it, shake it, show us their stuff! 10:45 AM – Hear All About: SEVA GRREAT – Hear how you can foster or adopt a Golden Retriever rescue in need of a loving home! 11:00 AM – Hear All About: Caring Canines – Hear how therapy dogs provide comfort to those they visit. 11:15 AM – CONTEST #2: Best Costume – Costumes are not just for Halloween. Let your canine show us their best look! 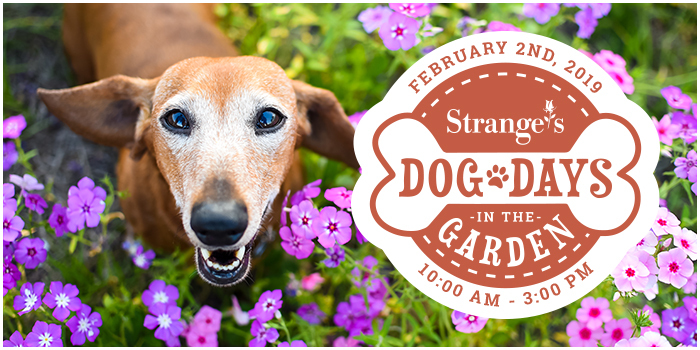 11:30 AM – Hear All About: Pet-Friendly Houseplants – Learn which houseplants are typically nontoxic to your furry friend. 12:00 PM – CONTEST #3: Best Trick – Does your dog have a trick or two up their paw? Here’s a chance to show them off! 12:15 PM – Hear All About: The Mia Foundation – Find out how they’re helping animals born with birth defects. 12:30 PM – Hear All About: Virginia German Shepherd Rescue – Learn how they rescue abandoned and abused German shepherds, rehab them and find them new homes! 1:00 PM – CONTEST #4: Best Kisser – Put on the lip balm and pucker up! 1:15 PM –Hear All About: FETCH a Cure & Pixie’s Pen Pals – Cancer stinks, whether for humans or our fur babies. Hear how this organization can help make a difference. 2:00 PM – CONTEST #5 – Best Dancer – Show us your pup’s best dance moves! Learn the ancient art of bonsai from the roots up. We’ll talk about the best plants to use for bonsai and cover some of the basic techniques such as wiring, training and pruning. Learn all the ins and outs to starting seeds inside so you can get a head start on the spring season. We’ll cover best practices for successfully starting seeds, tools & kits, best types of plant to start from seed, and tell you about some of our favorites. Seed Swap: Feel free to bring in any leftover seed from the past two seasons (preferably labeled with variety & year) or extra seed you no longer need to exchange & trade for different varieties. We will also share some of our leftover seed from last year to help increase variety. Are you a pruning procrastinator? You’ll become a pruning pro after we teach you when, how, and what to prune in preparation of warmer weather! We’ll also cover reviving and rejuvenating your landscape in the event it is damaged during a winter storm. Due to freezing overnight leading to slick road conditions: Strange’s will have a delayed opening on Monday January 14th. Strange’s will open at 10:00 am. Please be safe in your travels tonight and tomorrow morning. Due to the forecasted Winter Weather Mix entering the Richmond Metro area beginning Saturday Evening, 12Jan19 and continuing until late Sunday 13Jan19, Strange’s will be closed Sunday January 12th, 2019. This is done in the interest of safety of our team and customers. Please check back to this page for any potential updates. Join us as we show you how to make a great miniature indoor garden you’ll be proud to flaunt on Instagram. We’ll guide you through the best plants to use, how to care for it, and what tiny objects to use for adding interest. Have no idea how much to water your houseplants? Don’t know what houseplants are safe for your pets? 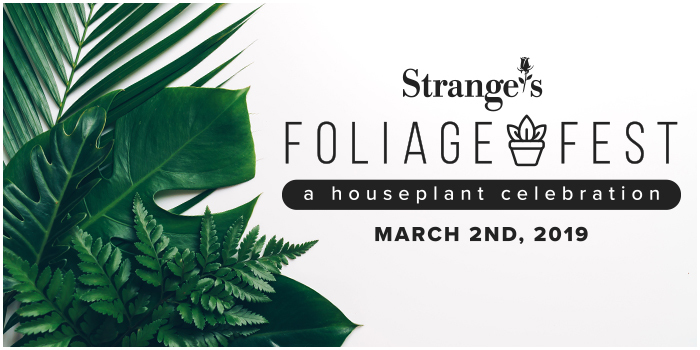 Join resident houseplant expert Kaity Bevenour as she gives you a crash course in the wonderful world of houseplants. She will cover areas such as fertilization, keeping plants happy during the winter, common problems, and interesting varieties. On Christmas Eve, both Strange’s locations will close early at 4:00 PM. 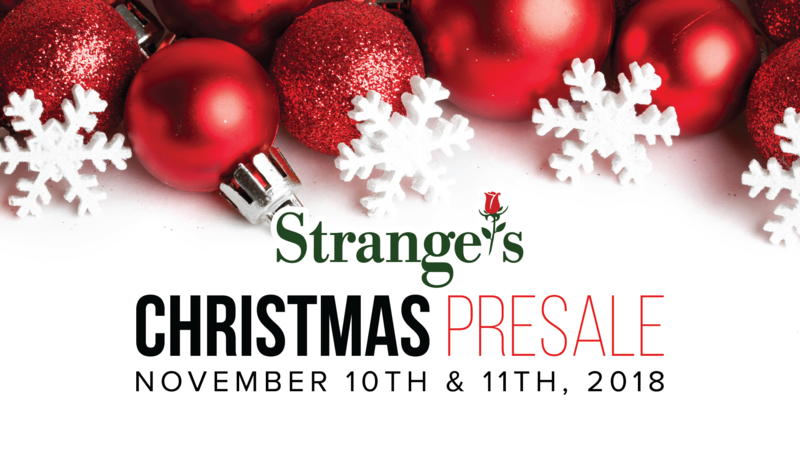 On Christmas Day, both Strange’s locations will be closed for the holiday. On New Year’s Eve, both Strange’s locations will close early at 4:00 PM. On New Year’s Day, both Strange’s locations will be closed for the holiday. We will resume normal store hours on December 26th, 2017. The best wreath is one that you make yourself… and Strange’s wants to help! 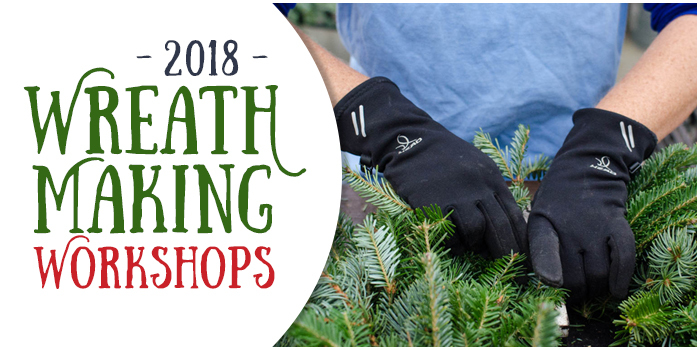 Our elves will guide you through the process of creating your own evergreen wreath, from cutting to crimping, so that you can walk out with your very own handcrafted creation to hang on your door. Cost is $30/person and includes instruction + materials. Classes cap at 10 people. Reservations can be made in person or by phone (804-360-2800). Payment is due at time of workshop. Private classes are available by request, but sessions are limited! As of 730 pm 10 DEC 2018, Strange’s will have a 0ne hour delayed opening for 11Dec2018, Tuesday. We will open at 9 Am. As of 0915 Strange’s will be closed to the public for the the day 10DEC2018. Deliveries for today will be rescheduled. Greenhouse and Nursery staff, please call your supervisor in order to coordinate snow removal. 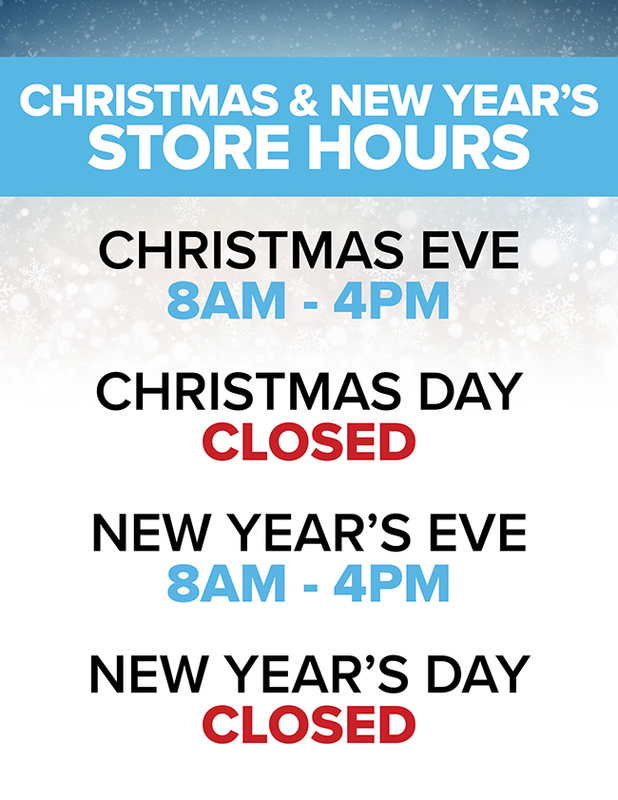 Due to the winter weather throughout the metro Richmond area, Strange’s retail locations will be closed for the remainder of the day 9DEC2018. We will re-open at 11Am, Monday, 10DEC2018 so that there will be adequate time for VDOT to clear primary and secondary roads. Enjoy the snow and please travel safe! 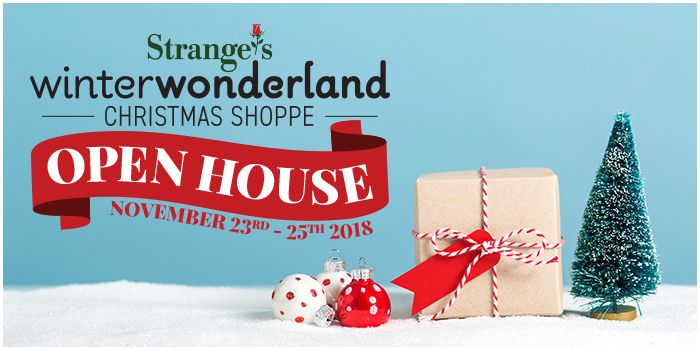 Visit either Strange’s locations the weekend of November 10th & 11th and enjoy 20% off our Christmas Shoppe! 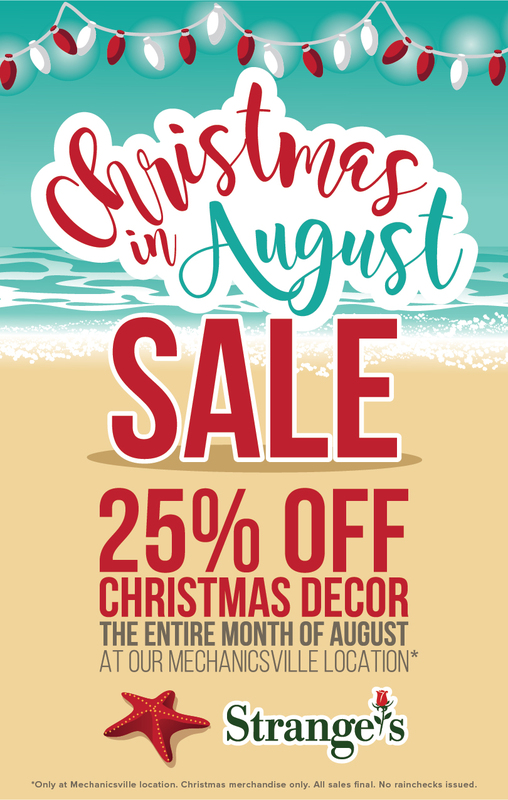 Shop Richmond’s best selection of artificial trees, ornaments, garlands, lights, wreaths, picks, and more! 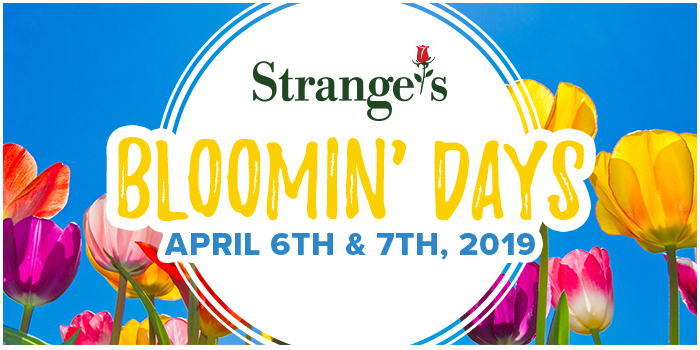 Strange’s is proud to be the official floral sponsor of this year’s Fine Arts & Flowers! Fine Arts & Flowers is presented by The Council of VMFA to support the inaugural tour of VMFA on the Road: An Artmobile for the 21st Century. Build your own terrarium with a spooky twist – carnivorous plants! We’ll guide you through best planting practices, what plants to use, and how to care for your new tiny green world. Not only will you leave this workshop with a wealth of terrarium knowledge but a cute-but-creepy miniature garden just in time for Halloween! Workshop is $30 per person & includes instruction + all materials (glassware, 2 carnivorous plants, 1 fairy garden ornament, assorted moss/rocks). To reserve your spot please call (804)360-2800 or visit our West Broad reception desk. Class caps at 10 people. Payment due at time of class. The world of succulents can be a wild, wonderful, and sometimes overwhelming place – let us be your beacon of knowledge! Join us for a crash course on succulents as we help you traverse watering needs, fertilization, potting, exactly how to propagate, and more. We’ll also walk you through different varieties and preview some of our new plants for 2019! Best of all you’ll walk away with your very own succulent garden so you can put your new found knowledge to good use! Join container garden expert Susan Frakes as she shows you how to make a great miniature indoor garden you’ll be proud to flaunt on Instagram. She’ll guide you through the best plants to use, how to care for it, and what tiny objects to use for adding interest. Your houseplants may be warm and cozy inside the home, but did you know they still require a little extra love through the darker months? We’ll provide some tips and tricks on how to keep your citrus and houseplants green and thriving through the cold months of fall and winter. Join us for an hour and learn how to keep deer out of your garden. Need a repellent or a list of deer resistant plants? We have those! We’ll also cover other critters like voles and squirrels. Bring your questions and problems and we’ll find you solutions. Want a low maintenance planting? Have a shady area that you can’t get grass to grow in? Let us teach you about groundcovers and other low plants that are ideal for the Richmond area. Find out the difference between mondo grass and liriope and just how multipurpose ajuga can be. Can you never seem to get your orchid to rebloom? Starting to wonder if it’s time for a new pot? Join the Virginia Orchid Society as they cover the basics of watering, fertilizing, pruning, and more to ensure the longevity of your favorite elegant houseplant. Join us for a comprehensive guide on how to keep your garden colorful & vibrant through the colder months! We’ll cover the best shrub and perennial varieties for continued interest through fall and winter as well as best planting practices. Workshop is $20 per person & includes all materials (open or closed container, soil, charcoal, rocks, moss, & 3 terrarium plants). To reserve your spot please call (804)360-2800 or visit our West Broad reception desk. Class caps at 10 people. Payment due at time of class. Are you tired of planting something only to see it disappear almost overnight? Have you ever stepped in your yard only to sink down into a soft spot? If you are tired of finding tunnels in your lawn Strange’s very own Tom Rush has the organic solutions for you! Have you always dreamed of having fresh lemons on hand for cooking? Does your mouth water at the thought of tangerines right off the tree? It’s easier than you think! We’ll show you the ropes for choosing the best citrus for your living space as well as how to keep it happy and healthy through the colder months inside your home. You’ll be puckering up for fresh fruit in no time! Strange’s is tracking the path of Hurricane Florence in order to best predict and plan for potential effects to our customers, employees and business. Currently, there are no expected impacts to Strange’s in the next 48 hours. As Hurricane Florence moves inland with a possible turn to the Valley of Virginia, we expect localized flooding in our Richmond service area due to the rainfall from the storm into the Chesapeake Bay watershed. This flooding may begin Monday if the storm track changes. Please check back to this page for updates as we have them. We will also update social media and the internal Strange’s Weather hotline as more information becomes available. Join our resident container expert Susan Frakes as she walks you through planting your own fall-inspired creative containers. She’ll guide you through the best plant combinations for the season as well as general maintenance so you can enjoy your container all autumn-long! Grow a season full of color with a bit of planning and effort. Join resident bulb expert Ann Meisoll as she gives you advice on when, what, and where to plant bulbs for spring. Learn to grow and maintain a West End lawn that will make your neighbors orange with envy! A guide to seeding and feeding your yard for the fall season. We’re kicking off our fall class schedule with a very tasty talk on cool weather vegetables! Join our resident plant expert Kevin Cutlip as he outlines best practices for planting your fall vegetable garden. From starting your seeds to when and where to plant, Kevin will help you set up your veggies for a successful fall harvest! Join our floral expert Stacy Smallwood as she walks you through handcrafting your very own floral arrangement! Learn the basics of floral design during this hands-on workshop as she guides you through the steps of selecting, cutting, & arranging flowers. At the end of the class you will walk away with a completed vased arrangement made by none other than yourself and the knowledge necessary to start arranging your own botanical masterpieces. 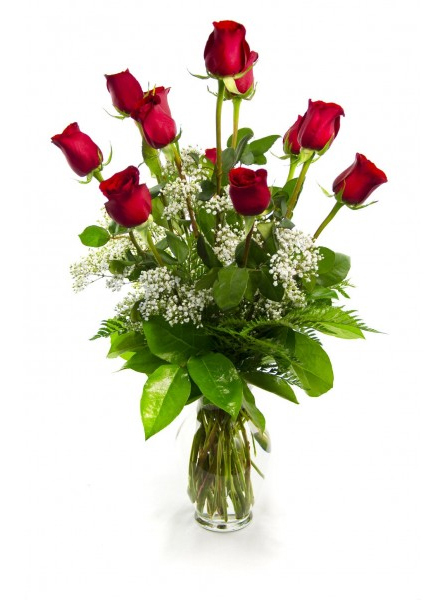 In this class you will be making ‘Dozen Roses’. See image for reference. Class is $43.95 (+ VA sales tax) per person. Cost of materials & instruction included. Class caps at 7 people. Minimum of 3 people required to hold class. In the event the class is cancelled we will contact you in advance. If class has not already been filled, sign-ups cut off on Wednesday, August 15th. Click here to reserve & pay for your spot online!